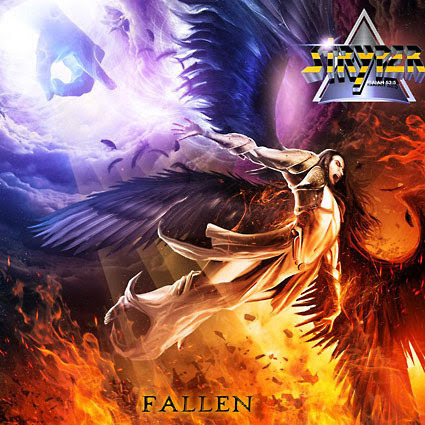 "Fallen", el nuevo álbum de Stryper, se lanzará en todo el mundo el viernes 23 de octubre. El CD fue grabado en los estudios "SpiritHouse Recording" en Northampton, Massachusetts e incluirá una versión del clásico de Black Sabbath "After Forever". "Fallen", el nuevo álbum de Stryper, será lanzado mundialmente el viernes 16 de octubre por Frontiers. El CD fue grabado en los estudios "SpiritHouse Recording" en Northampton, Massachusetts e incluirá una versión del clásico de Black Sabbath "After Forever". La primera canción de "Fallen", "Yahweh", que fue co-escrita con el guitarrista SEVENDUST Clint Lowery, estará disponible la semana del 6 de julio. La portada de "Fallen", es obra de Stanis Decker, que es también autor de la de "No More Hell To Pay". It is time for all the Stryper fans out there to get psyched as we will be unleashing our new album, FALLEN on October 16th! 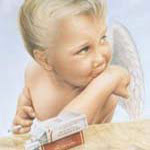 The first song from the album, "Yahweh" will be released the week of July 6th! In the meantime, enjoy the awesome artwork for the album! On the album artwork for "Fallen" we're proud to say that we had the honor of working with Stanis Decker again (who also did "No More Hell To Pay"). We sent Stanis the concept about Lucifer being cast out of heaven and he sent us this amazing illustration, capturing the original idea perfectly. We're excited to be able to finally show all of you! STRYPER lista de temas y samples de su nuevo disco "Fallen"
"Fallen", el nuevo álbum de Stryper, será lanzado mundialmente el viernes 16 de octubre por Frontiers. El tema "Yahweh", que fue co-escrita con el guitarrista de SEVENDUST Clint Lowery, estará disponible el 6 de julio. 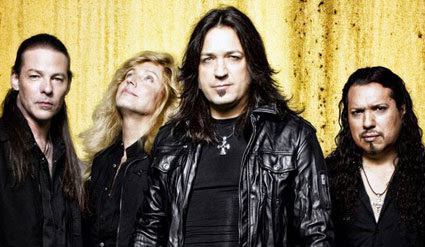 Michael Sweet Discusses Stryper's Single, "Yahweh"
STRYPER: nuevo tema "Big Screen Lies"
STRYPER: nuevo tema "Let There Be Light"
STRYPER: nuevo tema "After Forever"
Yo creo que si sacan un disco como el "Against the Law" contentan a todo el mundo con un poco de todo, o no, vete tu a saber. Word on the street is that Stryper will be recording a brand new, all original album in January/February of 2017. We've been going down a "heavy" path for the past few albums/years and fans worldwide seem to love the direction. As we perform classics like "Calling On You", "Free" & "Always There For You" live, I'm always reminded of the power of merging melody with edge to make for a great pop metal song.